This is a unique blend of premium meats & vegetables with no added grains. 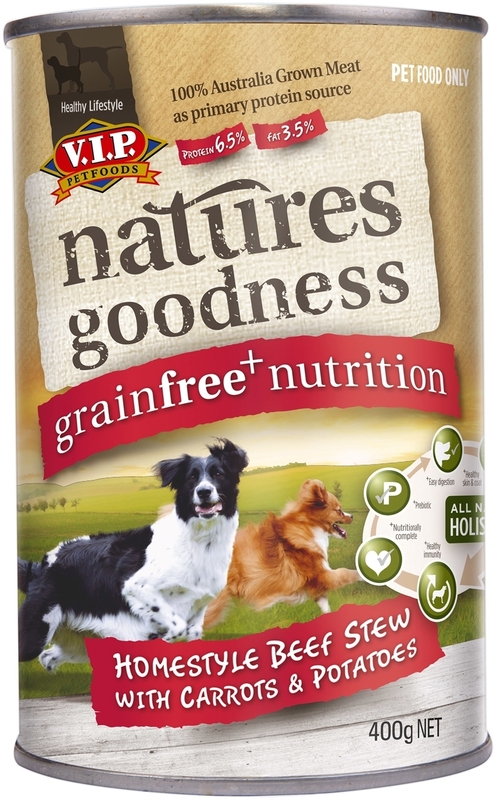 These quality ingredients combine to ensure your dog maintains a happy, healthy lifestyle. 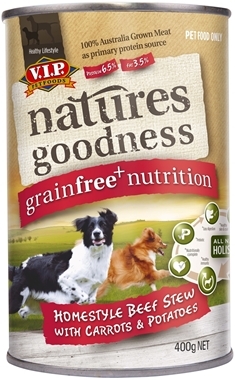 *If this is the sole diet, an average 5 Kg adult dog will require around 1 can per day of the wet food, depending on the activity level and lifestyle of the dog, less if this is fed in combination with Natures Goodness grainfree dry food. **Always ensure the dog has fresh, clean water available.